We’ve dedicated quite a few posts to women’s fashion clothing, shoes and accessories for this spring. However, men’s fashion deserves just as much attention. That’s why we’ve decided to talk about the fashion trends in men’s designer shoes for spring 2014 in this post. 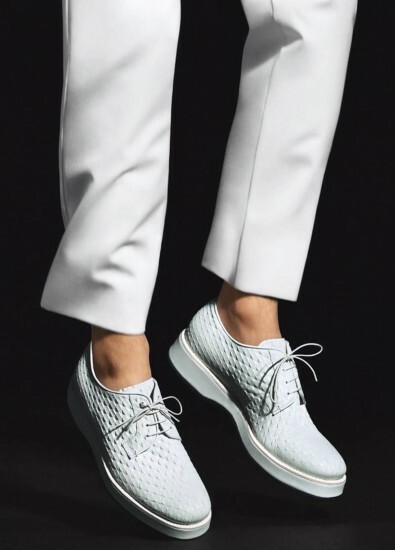 What you can see in the collections of men’s designer shoes for spring 2014 is that most of them have kind of informal look, but are yet very stylish. You can see many creative innovations added to each model. If you don’t want to go too far away from the traditional, take a look at the designer shoes with laces. This is the most popular choice for the season. However, designers rarely use the traditional perforation for their new collections. One of the hottest trends in men’s designer shoes for the season are the solid soles, decorated with metal elements or unexpected colors. Of course, the classic models with a small heel are still relevant. The most popular models of men’s designer shoes for the spring of 2014 are moccasins, loafers, slippers and chukkas. They are available in many versions in most designer collections. Perforated and woven materials are quite popular. In fact, they are becoming one of the season’s hottest fashion trends. Of course, smooth leather, suede and nubuck continue to be in fashion. You will also find that reptile skin and reptile skin imitations are another popular choice of material for men’s designer shoes. Combinations of materials with different textures are also possible. Contrasting color combinations in men’s designer shoes are quite trendy for this spring. The classic black and white color combination remains in fashion this season. Vibrant colors, like cobalt blue, emerald green and cherry are used to create the effect of shabbiness, which is another popular trend in men’s designer shoes for this season. Of course, the traditional colors like black and brown are not excluded from the designer collections. But if you really want to make an impression with your designer shoes, you can choose bright colors like red, yellow or blue. You will also find many silver and gold models, which follow the metallic fashion trend of the season. The print trend applies not only to clothing, but to shoes, as well. You will see floral prints, made popular by designers earlier, stripes, geometric patterns and abstract pictures. 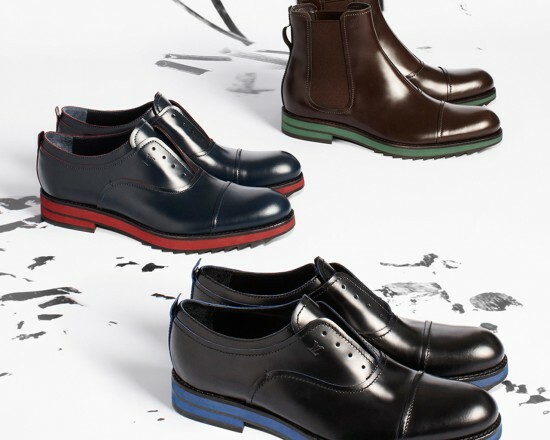 The new collections of men’s designer shoes for spring 2014 have everything you need. You can choose traditional models with unexpected elements added to them, classic styles, fun shoes and many sports and preppy models. Your wardrobe won’t lack the appropriate pair of shoes for each outfit.